Did you see “Incredibles 2”? If nearly $500 million in worldwide box office returns are any indication, the odds are good that you were there. By any measure, those numbers are a mammoth success…even when you consider the film likely cost around $200 million to produce. With those kinds of dollars at stake, it’s no wonder animation projects can make creators justifiably nervous. But if you’re looking to create top-quality animation on something less than a multimillion dollar budget, the services of Videobolt Pro may spark your interest. Videobolt Pro is a streamlined graphic design marketplace and template editor built to help even the first-time creator assemble fully customized high quality intro and outro animations, title sequences, promotional slideshows and music visualizations. Your Pro subscription allows you to generate up to 96 videos a year (8 per month), each with easily adjustable templates to modify colors, effects, positioning and more. Videobolt offers some cool protection features as well to hand-hold you through the process, including a one-click undo function, edit tracking to help avoid costly mistakes, and automatic project saves, ensuring you never lose any of your work. Here’s an example of what you can produce with Videobolt in literally a matter of minutes. 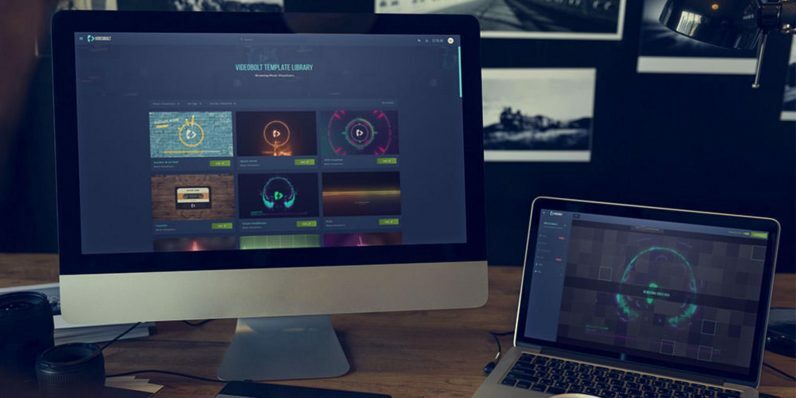 Right now, a lifetime of Videobolt Pro access is available at over 90 percent off its regular $1,500 price, just $49.99 from TNW Deals.